PDC is a supplier of copper & fibre wire for computing and networking as well as wireless network systems. They trust Macrack as their warehouse Storage supplier, because of our outcome driven focus that the customer needs to be happy with and which needs to operate efficiently. PDC had set themselves up in Brisbane’s Fortitude Valley for a large number of years, slowly growing in size, increasing production and hiring more staff. Things were looking great for the company, but they knew they were running out of room. 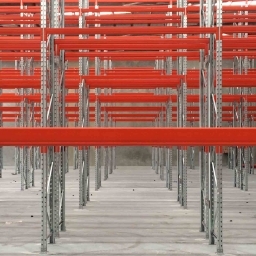 They increased their warehouse capacity by bringing in a Macrack Raised Storage Area, some pallet racking, work benches with storage above and other space saving options. However, the time eventually came for PDC to acknowledge that they couldn’t grow anymore or operate efficiently without moving warehouse. In 2015, they called Macrack with the hope that we could re-use their existing racking in a new premise and help them relocate their business. However, this time they wanted to have a plan to not only maximise the space, but future proof the company, so they wouldn’t have to move again anytime soon. Macrack started this project by talking to Pacific Datacom as to what they needed, both in the now and looking to the future. We took note of all the racking that had been amassed over the year, sorted it into what was still usable then created a site plan based off all the gathered information. This layout was critical to improve workflow for staff (who previously had cramped quarters) but now had vast amount of room. We had to make sure that all items needed for assembly, testing and packing moved through the warehouse without double handling, without staff crossing each other’s paths, and most importantly having items readily accessible to increase productivity. Using existing materials (where we could to reduce cost to the client) and suppling new racking systems to perfectly suit the storage needs of PDC allowed for a greater result in efficiency and storage capacity. A good layout is often underappreciated, but comes with huge benefits to any company. 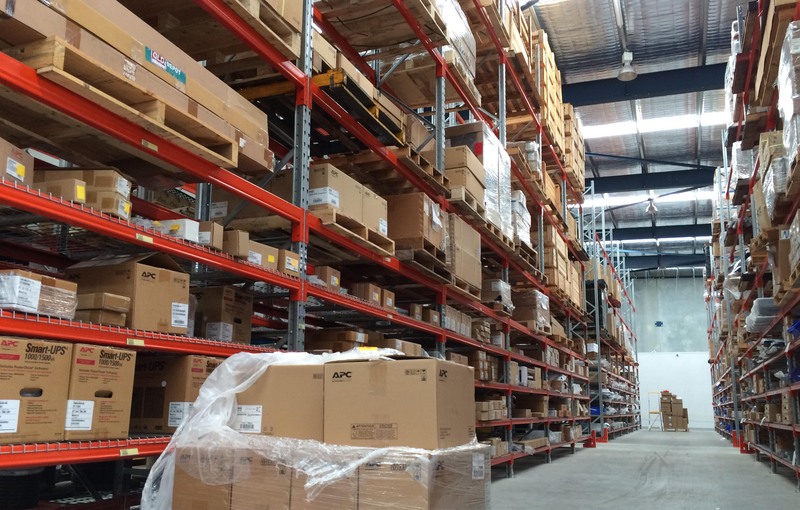 Often if a warehouse is struggling to keep up with production, or there is constant damage, it’s a sign that the layout of the warehouse is poor. 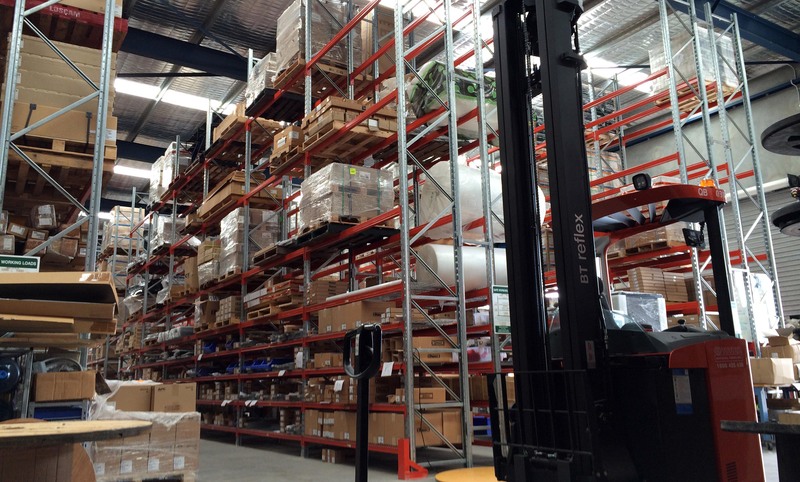 This symptom of poor design is often misunderstood as: ‘bad forklift drivers’ or ‘lazy staff’, but Pacific Datacom is a shining beacon that you can drastically improve functionality by a little well thought out design. 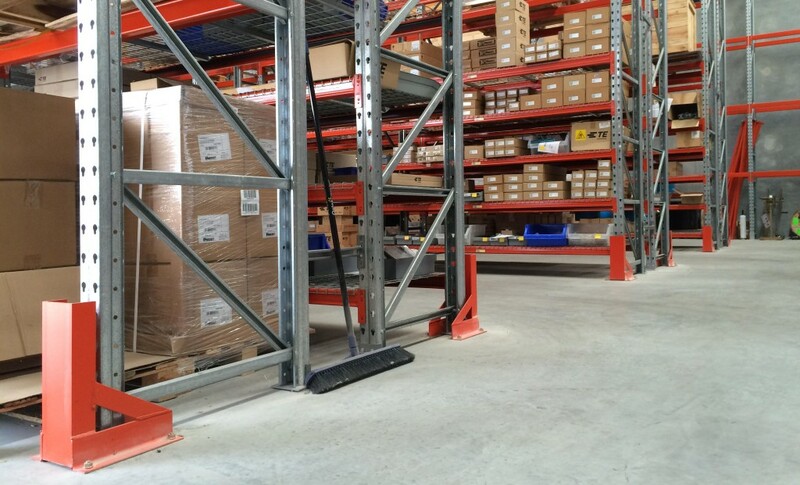 The PDC warehouse runs efficiently, autonomously, and without incident. 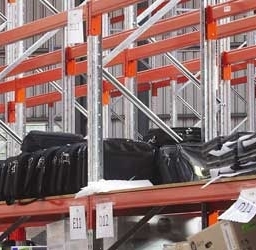 Staff are kept clear from all operating machinery, Natural light floods through the warehouse, pallet and bin locations are logical and clear, inflows and outflows are controlled with appropriate staging areas, different departments work side by side but do not have to cross paths in order to pick or pack. Pacific Datacom mainly store cable drum reels and pallets of goods, with picking levels for staff below. This combo of bulk storage up the top and picking below works extremely well if you have product that needs to be broken down, assembled and then repacked. Having bulk items above the picking area allows you to maximise all the available space (up to the ceiling) that would otherwise be lost. It is also completely safe, and a very efficient storage system.